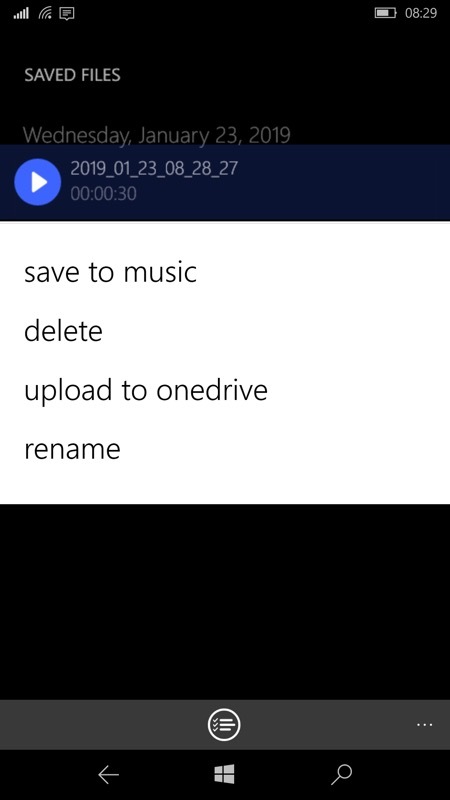 Windows 10's Voice Recorder is barebones and functional, but if you want to go further then it's worth taking a look at Perfect Recorder UWP, which offers a variety of sample rates and various upload options. 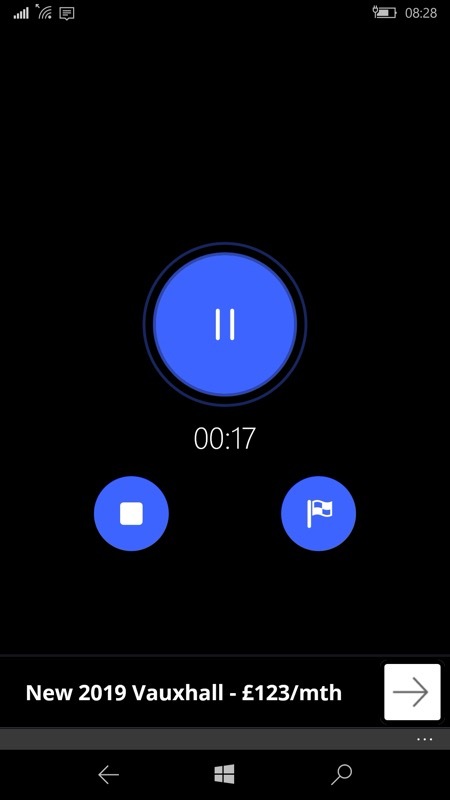 Easy to record, Pause record and Resume. 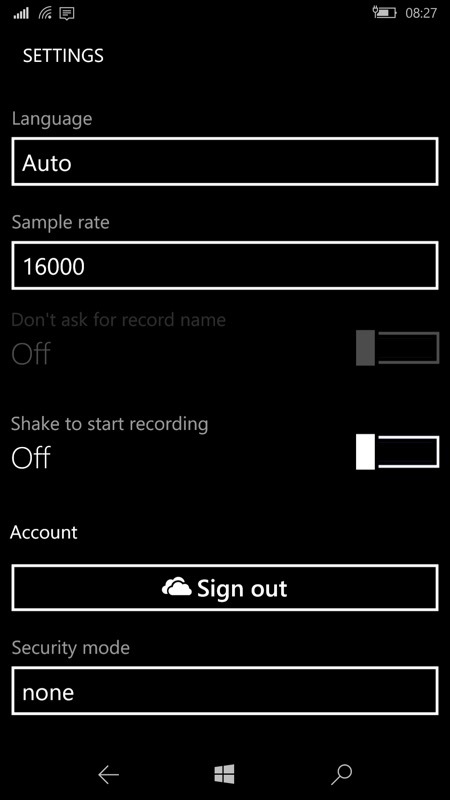 Shake to start Record option. Saving to wider storage in the phone, uploading to OneDrive, it's all quite flexible; (right) not much to see on the main menu. 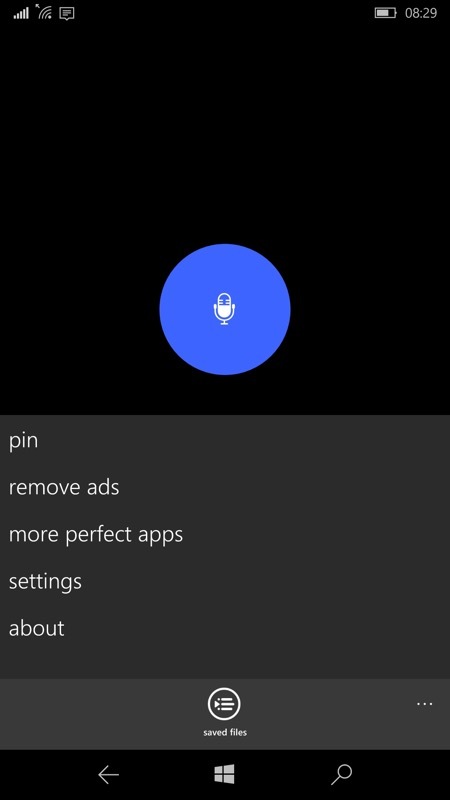 Note that 'pin' here is 'pin to start', not to be confused with putting a PIN or password on your recordings! You can grab this in the Store here. There's an in-app-purchase to get rid of ads, if you want to support the developer.